Breast Cancer: Is it in your genes? More than a year ago, Angelina Jolie revealed in a heartfelt letter to the entire world that she’d had a preventative double mastectomy because she carried a genetic mutation that increased her risk of developing breast and ovarian cancer. Her chances of developing breast cancer dropped from the estimated 87% to below 5% as a result of this procedure. Angelina’s revelation brought genetic testing for BRCA1 (BReast CAncer 1) and BRCA2 (BReast CAncer 2) mutations into the spotlight in a very impactful way. The weeks following her story going public, people were talking about what she’d done, but, more interestingly, people were starting to ask questions about what this would mean for the future of breast cancer diagnosis. Although genetic testing may only be able to determine 5-10% of breast cancers, it may very well mean the difference between a patient who is caught completely off-guard with an aggressive cancer and a prepared patient who catches it early on, and as such, undergoes a less invasive treatment with a much higher chance of survival. Genetic testing, as such, puts a form of power back into the hands of a patient , allowing them to consider preventative measures years before the cancer is actually discovered. Whichever way you may choose to look at what this may mean (for some, this knowledge is a blessing as much as it is a curse), at least you now have the option to find out where you stand especially if you have a family history of breast cancer or are concerned for your own children’s risk if you’ve had cancer yourself. You may not know this, but genetic testing for BRCA1 and BRCA2 mutations has been available in Lebanon for almost 5 years now at select hospitals and clinics within Beirut. With interest in it recently increasing (Angelina no doubt played a big role in this), more and more women are now asking about it. So, what do you need to know before considering the test? We met with a representative from one of the clinics in Beirut that conduct the test to find out more. We’d like to thank the representatives at Karyo for providing more insight about the process for anyone considering doing the test here by answering the following questions. 1. What is BRCA genetic testing? BRCA genetic testing is a method used to determine your risk of getting breast cancer and/or ovarian cancer, especially if you have a family history. A small blood sample is withdrawn and analyzed to detect any BRCA1 and/or BRCA2 mutations as those are the most significant genes in revealing whether you are at risk. You have a family history of breast cancer and/or ovarian cancer. The risk is equal whether the gene is on your mother or father’s side. You or a first-degree relative has been diagnosed with breast cancer below the age of 50. You or a first-degree relative has been diagnosed with ovarian cancer (regardless of age). A male family member (father, brother, son, uncle, grandfather..) has been diagnosed with breast cancer. Two or more relatives have had breast cancer in your family. 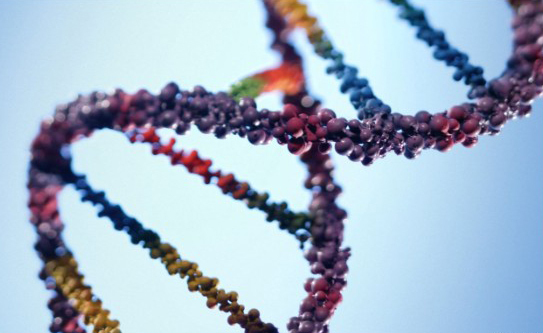 A family member has been identified with BRCA1 and/or BRCA2 mutations. Usually, a mother who has had cancer will do the test and then have her children tested to check whether any of the mutations have been passed on. 3. I’m a high-risk individual. Where can I get tested? There are a few hospitals and clinics within Beirut that conduct BRCA1 and BRCA2 testing but the techniques may vary. If you want to get tested at Karyo, who employ the Next Generation Sequencing technique plus a MLPA technique, your doctor will first need to confirm that you are in fact eligible (usually an oncologist or gynecologist) and provide you with a reference. You then have the option to either set an appointment at Karyo’s clinic in Hamra to have a blood sample withdrawn or request a home or hospital visit if that’s more convenient for you. 4. How long does it take to get the results? If you get your test done at Karyo, it will generally take around 2-3 weeks to get the results as the genetic analysis is done at their laboratory in Greece. 5. Can men get tested too? Yes, of course. Although men have a much lower chance of developing breast cancer than women, they too are at risk. Some men have gotten tested not for themselves, but because they were concerned for their daughters as there was a family history on their side. Both the father and mother are exposed to BRCA mutations so the risk is equal on both sides. 6. How much does the test cost? It costs $1,700* per person at Karyo for the BRCA1&2 and MLPA tests (excluding the physician’s fee, if needed). If the mother or father’s test comes out positive (i.e. a genetic mutation is detected), the children can get tested at a reduced fee. If the test turns out to be negative for a parent (i.e. no genetic mutations detected), then there is no need for anyone else to get tested. 7. Do any insurance companies in Lebanon cover it? Currently, and to our best knowledge, only BUPA Insurance fully covers the BRCA1 and BRCA2 test in Lebanon. 8. What does it mean if a mutation is detected and is it 100% certain that I will develop cancer in the future if so? Nothing in medicine is ever 100% certain but this genetic test will help you better assess your risk and to be prepared. If a mutation is discovered, you have a 87% chance of developing breast cancer and a 44% chance of developing ovarian cancer. Breast cancers associated with an abnormal BRCA1 or BRCA2 gene tend to develop in younger women and tend to occur more often in both breasts. Recent studies have actually revealed that only 10% of inherited/familial breast cancers are due to BRCA1 or BRCA2 mutations and the BRCA test actually came back negative for 20% of inherited/familial breast cancers. As such, it’s not the main factor determining your chances, but it will give you a better picture in the case there is a mutation present. 9. I got tested and it turns out there is a mutation. My doctor has warned me that I have a high chance of developing breast cancer in the future and I want to be as prepared as possible for it. At the same time, I can’t handle nor want to do something as drastic as what Angelina Jolie did. What are less drastic preventative measures I can take to protect myself? First of all, you will need to discuss your best options with your doctor who knows best how to go about it based on the results and his assessment. What Angelina Jolie did is not recommended for most people and was a drastic preventative measure she personally chose to do. There are other ways to protect and prepare yourself. One of the most common recommendations for patients who find out they are at high risk is to start screening for breast cancer and ovarian cancer at a younger age. And rather than doing a yearly mammogram, there doctor will request they do an ERM. Such precautions will help you detect any abnormalities early on before the cancer has had a chance to develop further and spread, resulting in less aggressive and invasive treatment. 10. What is the future of genetic testing in Lebanon? There has been an increased awareness towards genetic testing for breast cancer in Lebanon but the high cost is discouraging many people who may be at risk from doing it so what we expect in the future is that the cost will become more affordable. As such more people will be able to do it and take the needed preventative measures. For further inquiries: Feel free to contact Karyo at +961 1-342461 or info@karyolb.com.